Apart from a potential end-of-season mini-camp, Joe Schmidt won't get his hands on his players for four months when the end-game of his tenure with Ireland begins in earnest. Ireland ended the Six Nations with their form and confidence in tatters. In the aftermath of their humiliating defeat in Cardiff, the coach referenced their recent record of 21 wins in 24 games as a comfort blanket they can wrap themselves in. To use his own choice of words, a championship with two defeats was no "catastrophe". But it was the nature of those losses that is deeply concerning to fans as they look ahead to the World Cup. A team with that sort of record should not look so low on ideas, so bereft of belief, as the one that lost their way in the Principality Stadium. Over the course of the tournament, Schmidt used 36 players and he hopes the deepening of the squad will stand to them at the World Cup, but the fear is that few of those used really put their hand up for selection. Fitness permitting, Dan Leavy, Rhys Ruddock, Devin Toner, Robbie Henshaw and Joey Carbery will come into the mix, but changing the cogs in a malfunctioning machine will only do so much. The mission for Schmidt and his coaches is to find ways of adjusting their systems to succeed in Japan while hoping key players rediscover their form while playing for their provinces. His next competitive match is against Scotland in Yokohama on September 22. They have a strong panel to choose from, their defence remains strong, their discipline can be fixed and some fine-tuning can improve a strong set-piece. Schmidt has work to do to put it all together in a functioning plan. Ireland spent more time with the ball in their possession than their opponents in all five of their Six Nations games and while they scored four more tries than they conceded and picked up two four-try bonus points, their execution was below their own high standards. 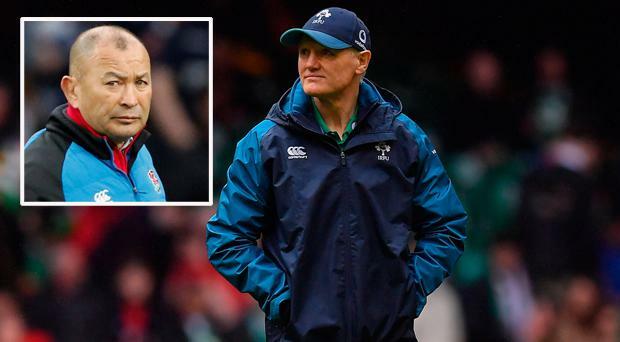 While other coaches have embraced 'chaos theory' and encouraged players to make big decisions as they come, Ireland remain a prescriptive side reliant on a complex game-plan engineered to get them into the '22. When they get there, they attempt to bully their way over. However, while last year they were ruthless when they got a sight of the line, this year they were strangely impotent. Against Wales they picked up a solitary point per '22 entry. But, according to the analysts at Gracenote Sports, this championship saw a shift in attacking patterns as most of the tries came from unstructured counter-attacking and turnover play as opposed to set-piece work on which Ireland rely. Ireland's poor play is a factor; their supply of clean ball from the lineout was reduced to 75pc and opponents managed to deal with their maul when they did get set up. And when they did attack, they rarely did so with the accuracy they brought in 2018. 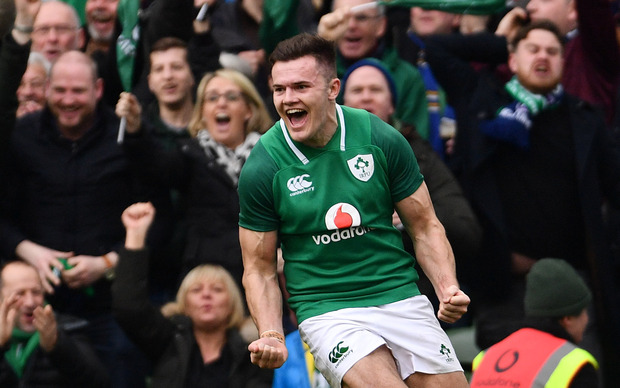 Jacob Stockdale's score against Scotland was a rare highlight. Under Schmidt, Ireland have rarely looked to counter from opposition kicks. While other teams shift the play in-field and look to attack, Ireland look for contact and recycle. If it is not within the current coach's gift to improve the unstructured play, then perhaps he should look for outside help as Eddie Jones has done with England, who were the most exciting team in the tournament. Perhaps that was just a quirk of this particular window and the game will shift again in different conditions in Japan. But Ireland's failure to adapt their attacking style meant they were ineffective with ball in hand in this tournament and they lost confidence as a result. Former out-half Andy Dunne has been outspoken in his criticism of Ireland's style of play throughout the last 18 months. The kernel of Dunne's point is that Schmidt's game-plan is overly attritional, that Ireland's safety-first approach leads to too many breakdowns and that the number of rucks is leading to injury and fatigue. Ireland averaged 125 attacking breakdowns a game and only offloaded four times a match over the championship. They were the least effective carrying team when it came to metres per carry, but they successfully recycled the ball most of the time. In 2018 they were winning the collisions and getting over the gainline, in 2019 they were unable to bully teams physically. They kicked less than 6pc of their possession, meaning they kept hitting the brick wall. Schmidt has plenty of medical expertise at his disposal and injuries are rife across the game, but he does have a big injury list despite the fact that his are the best-managed in Europe and the team appeared to lack freshness. Perhaps Dunne has a point. A more varied approach could help. Schmidt's complaints about his team appearing in the media before he's officially named it spoke volumes about his desire for control. Paranoia pervades his camp in Kildare; the players train behind giant screens, the coach regularly lectures his players about the need to cut out leaks to the press and he does his best to put journalists off the scent when he delays naming his squad, omits players from injury updates and sends players who won't be involved at the weekend out for interview. It all seems like a lot of wasted energy during limited preparation time. Warren Gatland may have benefited from the team appearing online 24 hours before it was supposed to be named, but surely a team as strong as Ireland are strong enough to win regardless.